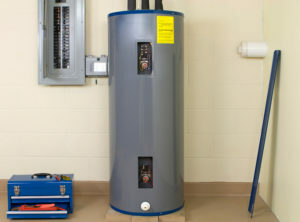 When it comes to the quality of water in your home and the warmth associated with turning that hot tap to the on position it is imperative that Water Heater Installation and Replacement in Guelph, ON is carried out by a professional contractor. The installation will be the deciding factor on how the equipment functions to provide your family with the comfort they have become accustomed to. 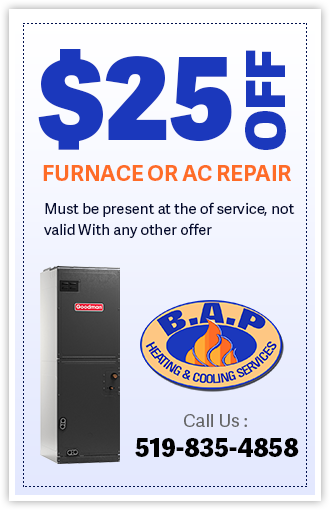 B.A.P Heating & Cooling is the contractor who is able to provide you with reliable information and advice on the water heater best suited for your home and application. We aim to please and our ever-growing list of satisfied customers is proof that we succeed. Tank or Tankless Water Heaters? One of the biggest decisions that you need to make will be the type of water heater that would best suit your requirements and your home. The older version of water heaters incorporates a storage tank which can become quite unsightly to look at as well as taking up space in your yard. The problem with these types of heaters is the fact that each time in use the entire tank of water needs to be heated which is really a waste when you think of operation costs. With this application there is always the chance that the hot water will run out mid-shower for one suspecting family member or another. The newer, more modern tankless versions are small and can be installed in such a way that they aren’t even visible. There is no need for a tank or reservoir as water is fed directly from the main water line and heated on demand. The cost saving using that tankless version is truly astounding. Hot water will never run out again. Besides all the technical jargon, aesthetics play a huge part. Where the tank type heaters leave you with a large, almost ugly looking reservoir in your yard, the tankless types are almost invisible to the eye and no white elephant taking up valuable space. 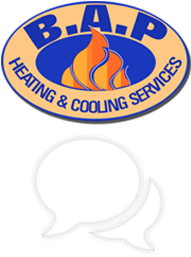 At B.A.P Heating & Cooling we are able to provide you with all the information you require in order to make an informed decision regarding the best option for your application your home.Whichever option you select is no problem with us. We are able to competently undertake a Water Heater Installation and Replacement in Guelph, ON whether it be the tank type or tankless and the results will always satisfy. Call B.A.P Heating and Cooling today to experience the comfort of heated water at the turn of a tap. We will assist you to make a selection suited to your needs and your budget and one that will keep your family in the comfort to which they are accustomed. Hot water is an integral part of any household and you only realize this once it is no longer freely available. Don’t be left in a cold shower, starting the day off on the wrong foot, call us now for efficient service and superior equipment. 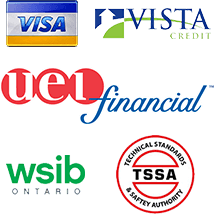 Proud to be providing Water Heater Installation and Replacement in Guelph, Rockwood, Milton, ON and the Surrounding Areas! It’s our hometown and your comfort is our business. Contact us today.